Great location, large lot in unincorporated Jefferson County, No HOA, No Covenants. Just over 1/4 acre lot. Huge detached garage for parking RVs, Campers, & Trailers. Beautiful Turn-Key Home in this Highly Desirable neighborhood. Pride of ownership abounds. A rare find for this one of a kind 4 bedroom, 3 bathroom, 2 kitchen Littleton home. Additionally, from the upper level you have access to both a balcony and side to back deck, both offering privacy via the mature trees on the property! The detached RV garage provides the Man Cave of your dreams. 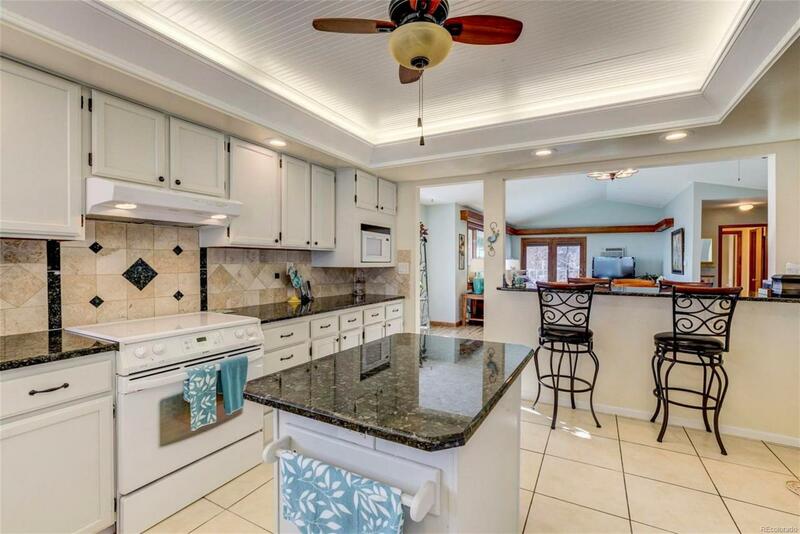 The open floor plan of the kitchen, dining room, living room and wrap around deck are perfect for entertaining. The kitchen floor is heated, windows include exterior, retracking security blinds. Enjoy the natural light provided by the large windows on the main floor. Potential Income Property. Come see you won't be disappointed!